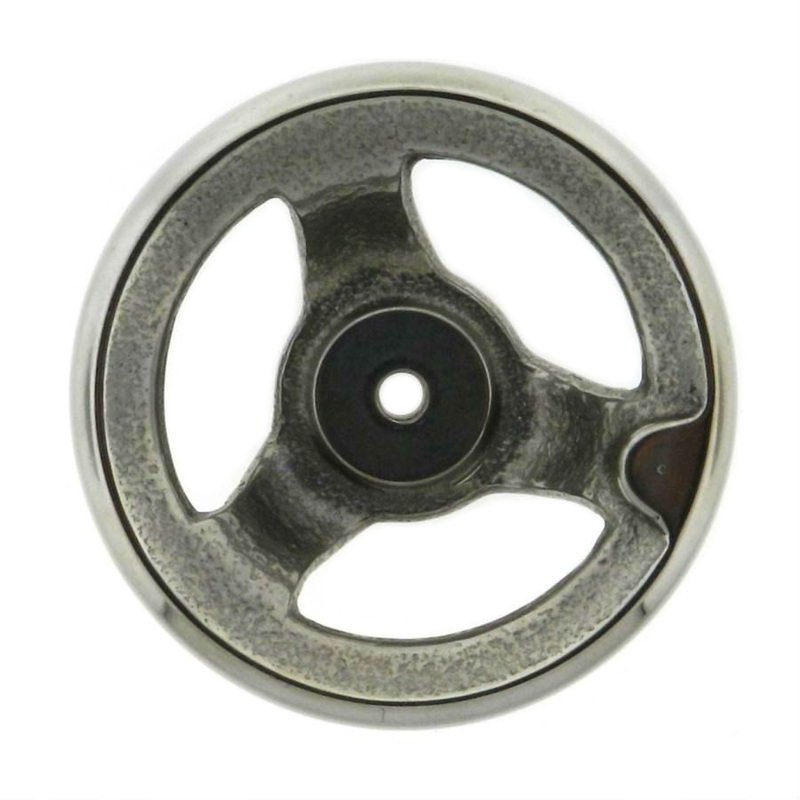 Request a quote for Stainless Steel 3 Spoke Handwheel without Handle today. 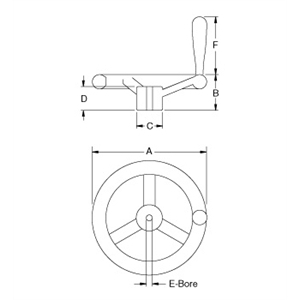 Available in a variety of sizes, this handwheel from JBF National is manufactured from the finest stainless steel. Its three spoke, center cutaway design allows for the utmost finger and palm engagement so as to maximize effectiveness in making minute adjustments while maintaining comfort. For flexibility in application, this handwheel features an oversized hub which allows for a variety of set screws, keyways, and bore sizes. Phenolic or chrome plated revolving handle available upon request. Please see component diagram below.